Good News for govt. job seekers from WB? The Government of West Bengal is going to fill around 2 lakh vacancies in this year. 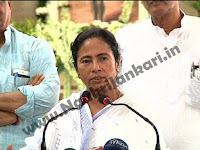 The Hon'able Chief Minister Ms. Mamata Banerjee has announced today about this recruitment in different posts. She also told about the increment of salaries of Civic Volunteer (previously known as 'Civic Police'). The increment is up to 2 times. Previously the salary of a civic volunteer was Rs. 2800 and now it is increased to Rs. 5500. So, it is really very good news for all CVs. In other hand, the CM has announced about the number of posts to be filled in. Around 70000 Teachers, 60000 Group-D and 60000 Group-C staff will be recruited. Now the time to wait! Finger crossed. 0 comments for " WB Govt. to recruit 2 Lakh employees in 2015-16 "